I was excited when I first heard that the Tampa Bay Rays were exploring a possible trade scenario of plucking Milwaukee Brewers’ slugger Corey Hart and bringing him and his big bat to the Tampa Bay area. But after a few days of thinking with both logic and emotion, the truth of the reality sets in that by opening the Rays farm system vault, or possibly sending a member of our rotation north to Milwaukee, I am having second thoughts. It is not as if I do not think it is a prudent and totally plus deal for the Rays, but I am saddled with the reminder that Hart is still in his arbitration years, and with his current monster-sized 2010 season, could be a fiscal nightmare for the Rays in 2011. Last season during an Arbitration hearing in St. Petersburg, Florida, Hart was awarded a $ 3.5 million salary for 2010. That is comparable with his peers, but after a out of character season like 2010 is becoming, could his price escalate to above $ 4.5-5 million salary and block the Rays from maybe extending their hands to a few of their Free Agents? Sure Hart has the baseball ability and strength to help propel the Rays a bit closer to the reality of getting back into the Playoff mix, but is he the key ingredient needed for this formula to gel? Does Hart possess that magical element missing from the Rays line-up in 2010, or be another strike against the team as they search for that last vital piece of the puzzle? So far in 2010, the Rays have an 0-2 count against them in trying to find a viable big bat to fill their Designated Hitter slot. We have seen the “pulling of the plug” on the Pat Burrell experiment this season (Strike One ). 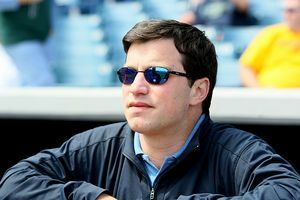 Then we saw the Rays front office go the complete opposite direction to finally promoting our in-house cry baby, disgruntled Rays employee Hank Blalock got his shot at securing the position. Blalock provided some brief moments of hitting clarity, but was constantly a bit out of focus with the Rays visions and intentions for the position (Strike Two). With two pretty visual strikes against the Rays front office in their ever changing quest for a power bat, could the addition of Hart provide the ultimate difference from now into October? Are the Rays searching and sprinting in the right direction for a possible payoff pitch, or could we be subject to a called third strike if we do not find a suitable upgrade before the end of the Trade Deadline?. Around the beginning of the 81st All-Star game celebrations, I was among those within the Rays Republic singing small phrases like the musical “You got to have heart” and thinking of Hart using his Canadian twin Cory Hart’s song “Never Surrender” as his walk-up music. 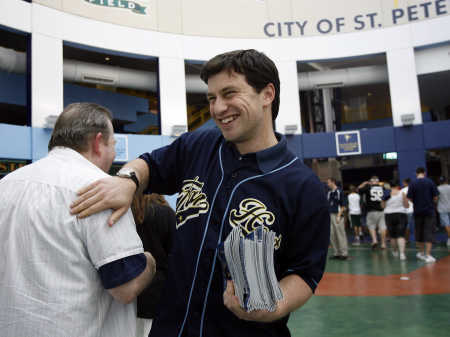 I was searching to get in touch with my inner- Brewer side and remember the past great trade relationships with the Brew Crew that brought us Rays reliever Grant Balfour or our own set of outfield plug-in twins Gabe Gross and Gabe Kapler. On the trade surface, there seemed to be a “win-win” attitude swirling and gaining momentum towards a deal. Could the Rays be lucky enough to go to the player well three times with the Brewers’ and still pluck a winner from the barrel? Or could we finally have pressed our good luck enough to come up with a dud, or a player who might have peaked a bit early in 2010? This has been a constant thought as I gazed over Hart’s 2010 numbers. It is great that Hart has appeared in 82 games ( all in Rightfield ) this season for the Brew Crew. And it was a great sight to see that Hart went 9-30 (.300 average) in Milwaukee’s last home stand before the All-Star break. Combine the two previous statistics of hitting goodness into the melting pot with the fact that Hart has led the Major Leagues with 18 HR and 53 RBI since May 15th, and has hit safely in 25 of his last 26 games and you get a appetizing recipe for success. Hart’s current 2010 stats just seem to leap out at you as a surefire and clear cut replacement either at Designated Hitter or in Rightfield for the rest of the season. I winch somehow among all of this positive energy and vibe regarding these statistics. Maybe I am used to seeing the premise of success hindered by the plight of reality for this Rays teams. Both of our previous choices seemed to be deemed a positive move, until they failed and were tossed like yesterday’s news. Hart’s 2010 stats leap out at me with the brilliance of a star. The innate possibility of this being Hart’s peak MLB season glows ever so bright to me. I do not feel secure in the fact this could just be the crest of a young hitter finally finding his groove and place within the MLB. Making this apparently easy decision even harder for me was the fact he slugged out 13 HR in the First Round of the State Farm Home Run Derby on Monday night, with a few of them beautiful monster shots that the Rays crave in their line-up. But how many of those shots are left in his arsenal for 2010? And will he keep the consistency and the power at peak efficiency for the rest of the season…and beyond? Then someone tosses more positive trade affirmations on top of Hart’s already glowing resume’ of his recent 20-game hitting streak, which was the longest in the National League this season. All of a sudden we see that not only could Hart produce a few power moments in the Rays lineup, but he also could also bring some sense of consistent hitting to the table too. 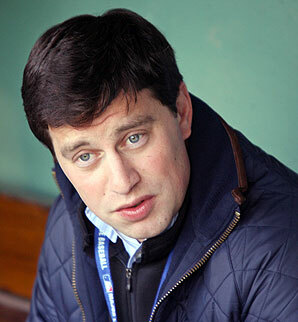 Is he the ever tempting double-edged sword the Rays have been searching for? As I continued to view the RHP and LHP splits of Hart’s accomplishments this season, the Pros and Cons of trading for Hart begin to weigh down heavily upon the Pro side of the chalkboard. More and more it seems the Rays Republic have become entangled in the possibility of Hart actually being that special ingredient missing in the Rays Playoff recipe. But something is still troubling me. It is something small and minute to most Rays folks, but seems to flares up at with a vengeance in my eyes. With his 2010 salary hovering at $ 3.5 million, and a Arbitration Hearing in his future this Winter, could Hart become a Rays fiscal nightmare, but an offensive dream? 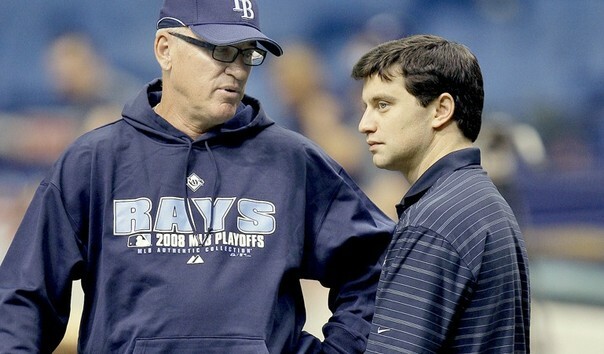 Can the two opposite ends of the Rays spectrum unite and somehow find a plausible reality after 2010? 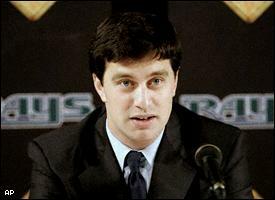 Or are we again plagued with the possibility of trading him again this off season like a hired gun? Right now I am firmly stuck on the ridges of the fence in regard to a Rays trade for Hart. But I also know the stark Rays reality that move like this might have to be made to upgrade the offense a tick or two with an eye on the coveted prize in sight. Other names have also been flying by my eyes and ears recently with players like Brewers’ first baseman Prince Fielder (No), and even Washington National’s slugger Adam Dunn (maybe) listed as potential additional firepower for the Rays. But in regards to the Rays current love of Hart’s 2010 numbers, I am firmly sitting on the fence, but have a chance to be swayed to either side. I can agree right now, Hart is a prime candidate that could help the team. But I am not totally sold yet. Maybe it is something unseen right now to my unbelieving eyes that will transform my doubt into a massive affection for his power and consistent hitting to provide the difference, and damn the negatives. Maybe I am thinking too much with my logical head and transferring the negatives into huge roadblocks instead of viewing each side of the equation equally. My whimsical nature has been tossed into a safe place in this situation. Can’t think totally emotional right now, or this would be a done deal. Maybe my first impression was right. Maybe it is time to think with both sides of my brain in this situation and one side of the argument would send me falling from the fence. Maybe it is truly time for me to “Gotta have Hart“.